Giant panda enthusiasts will mark the 140th anniversary of the outside world's discovery of the animal with a 350-km hike and a film festival this month. French Catholic missionary Pere Jean Pierre Armand David introduced the animal to the Western world after taking photographs of it in 1869 in southwest China's Ya'an city. Li Yamei, deputy chief of the tourism bureau of Ya'an, in Sichuan Province, said Tuesday that people could apply for the hike through a link on Sina.com, but they were required to pass a health check. The group would depart Aug.15. from the West China Medical School of Sichuan University in Chengdu, the provincial capital, to follow the footsteps of Armand David to Ya'an, a city in western Sichuan. The hikers were expected to arrive at the China Giant Panda Protection and Research Center of the Wolong nature reserve on August 25. The center moved its pandas from Wolong, about 130 km northwest of Chengdu, to Bifengxia breeding base in Ya'an after the devastating earthquake on May 12 last year. A new breeding center is being built at Wolong to replace the quake-damaged habitat. Li said the hike was intended to educate people on the panda's history and its protection. A week-long festival of more than 40 films featuring giant pandas and other wildlife will start in Ya'an on Aug. 19. 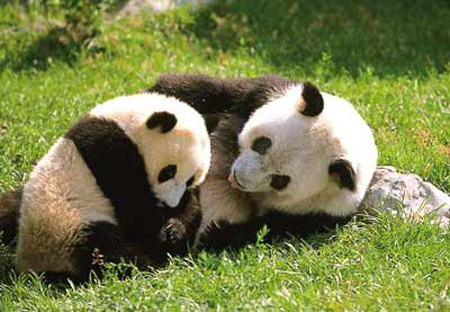 About 1,590 pandas live in the wild in China, mostly in Sichuan and the northwest provinces of Shaanxi and Gansu. Another 180 have been bred in captivity, including 88 pandas in Ya'an and 56 outside Sichuan Province. The pandemic fear grips the world as the virus spreads from Mexico to the US, Europe and as far as China.